It’s important for services organizations to have a scalable ERP system that is easy to deploy and use. But figuring out which vendor best suits your specific needs can be a challenge. 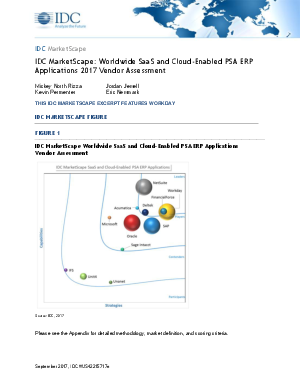 This IDC MarketScape report provides a look into the capabilities service organizations should expect from cloud enabled PSA ERP applications. Read an excerpt of the report to learn what it takes for an ERP system to lead your company into the future.